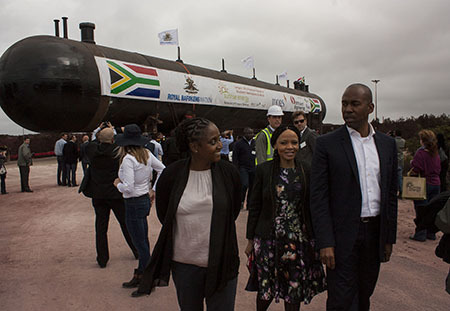 This could be last winter in which the Western Cape experiences a shortage of liquid petroleum gas (LPG) provided construction of R1.2b import terminal at Saldanha by Sunrise Energy continues according to plan. LPG is a mixture of propane and butane gases and is used for heating, cooking and can also be used for power generation. Increasingly unreliable supply from the Chevron and PetroSA refineries together with a paucity of LPG import facilities amidst a rising commercial and domestic demand has resulted in gas supply shortages during peak winter consumption over the past decade, particularly in the Western Cape. The jostling for limited supply among the four major players has not only affected consumers but has shouldered SMEs and newcomers out of the market, placing a doubly whammy on economic growth, say industry experts. As a result there have been a number of buyouts in recent years as smaller players merge with companies such as Total or Easigas. The Competition Commission’s preliminary report on its two-year investigation into the LPG industry was released on Monday. Among other findings, it stated that “the ability to secure supply of LPG from refineries is a significant barrier to entry for wholesalers”. The existing long term, renewable supply agreements between refineries and established wholesalers, who also often received up to a 10% discount on the refinery gate price which was not offered those without such long term agreements, negatively affected the ability of competitors to enter the market or expand their business. The new terminal, which is the only purpose-designed LPG import terminal in South Africa, will have a 5 500 ton storage capacity when phase 1 comes online in May next year, with a throughput capacity of 17 500 tons per month, will level the playing field, says Sunrise Energy CEO Pieter Coetzee. The phase 1 storage capacity is half that of the current winter demand of 11 000 tons in the Western Cape, which means supply constraints in the province will be eased significantly, says Coetzee. Storage is to be increased to 11 000 tons and 35 000 tons per month throughput in phase 2 and 16 500 tons with 52 000 tons per monththroughput in phase 3, with the phases being developed according to market demands. Rather than buying and selling gas, the business model for Sunrise Energy, which has Royal Bafokeng Holdings subsidiary MOGS PTY (LTD) as its major shareholder, together with the Industrial Development Corporation and Illitha Group Holdings, is to provide an infrastructural service for the receiving, blending and dispatching of LPG. The company states it has received tariff approval by the National Energy Regulator of South Africa (NERSA) and are committed to being an open access provider to ensure LPG availability to any importer, distributor or downstream user. This was “a cartel-busting model”, said Sunrise Energy CFO Stephen Glover. With supply being little more than half of peak demand at present, the small players, many of whom were created when PetroSA broke the supply stranglehold and provided product for BEE operators, are now being elbowed out the queue since PetroSA supply dried up. But as a well-placed industry source noted, a small or medium sized operation “cannot afford to load a ship of gas” and it was highly unlikely any of the large operators would be willing to allow them to float a few tons across with their own bulk order. Because Sunrise Energy will not trade gas, for open access to work, small players would need to aggregate their orders, which means Sunrise Energy would need to have at least one aggregator loading through their facility. Additionally, the throughput fee discussed with industry players at a construction milestone gathering hosted in Saldanha by Sunrise Energy last week, was “phenomenally high”, said one supplier. This would have to be negotiated, with Nersa needing to apply their minds to the situation as Sunrise Energy would essentially have an import monopoly which would require competent regulation. Despite these concerns, the successful ongoing construction of the import terminal is widely welcomed. “It is essential for the economy,” said managing director of Southern Energy Trading George Tatham, who currently imports LPG through the Cape Town harbour on a temporary licence to relieve demand. “LPG is significantly cheaper than electricity in all thermal applications”, as well as being cleaner, said Tatham, and proper import infrastructure could result in LPG import prices becoming even lower than the price at the refinery gate.